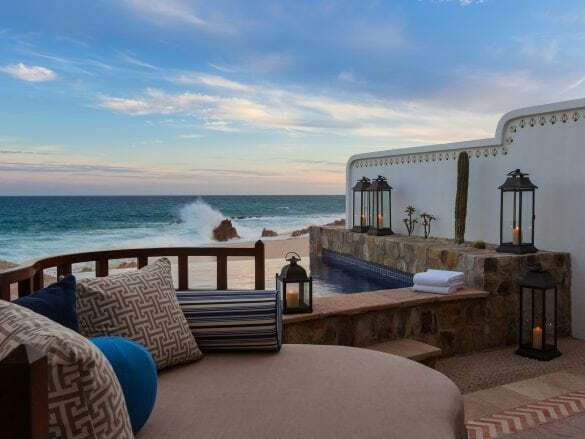 This elegant property is the perfect Cabo hideaway. 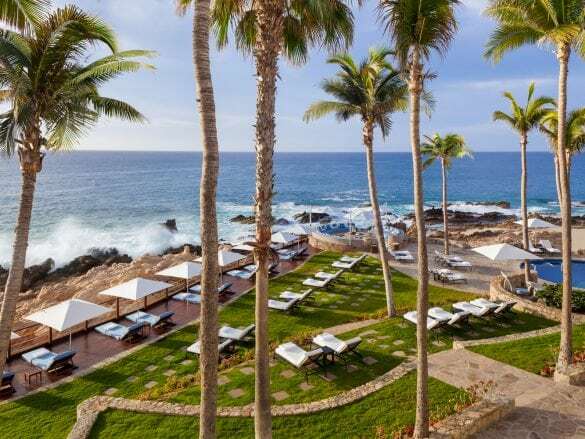 With the charming feel of a Mexican hacienda, this resort has a true sense of place. It caters to both families (the family pool has child-sized lounge chairs and umbrellas!) 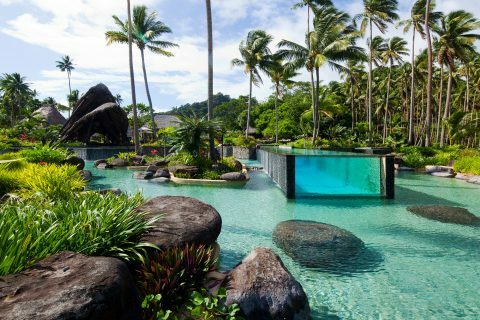 and adults (there is an adult-only pool with a swim-up bar). 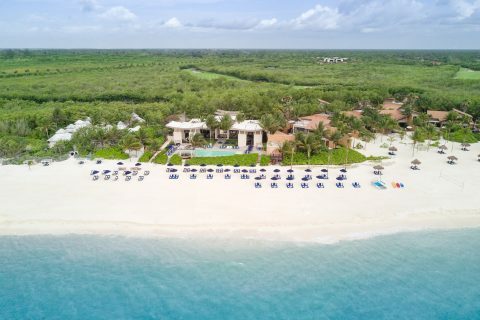 There are plenty of activities, like a 27-hole Jack Nicklaus golf course, tennis courts, basketball court, a swimmable beach, and gorgeous spa, so you can do as much or as little as you want! The service. As soon as you arrive on property, the staff greets you with their hand over their heart in the most warm and welcoming way. And with a nearly a 4:1 staff to guest ratio, the personalized service and attention to detail is exceptional. Every room has butler service, and the butlers were trained in London! Experiencing the surf! Cabo offers world-renowned surfing, and the resort has its own qualified surf coach on staff. The property has five distinct restaurants, each with its own unique culinary concept: SEARED, a Chef Jean-Georges steakhouse; Suviche, the place for sushi and ceviche; Agua by Larbi, with farm-to-table Mexican cuisine; Breeze, for casual al fresco dining; and Pelican Beach Grill, a casual beachside spot. If you’re looking for the perfect spot for a destination wedding or to renew your vows, One&Only Palmilla is it – there is the most charming little white-washed chapel on property! 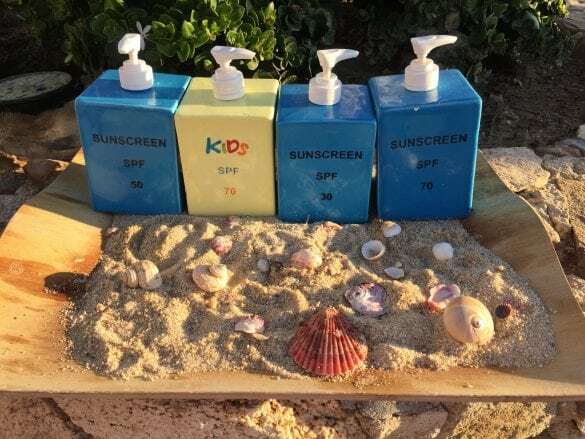 The complimentary kids club will keep little ones entertained with fun activities like cooking classes, piñata making, and movie nights! The resort is situated on 55 acres of lush land surrounded by the Sea of Cortez. Guests have access to one of the few swimmable beaches in the entire region. 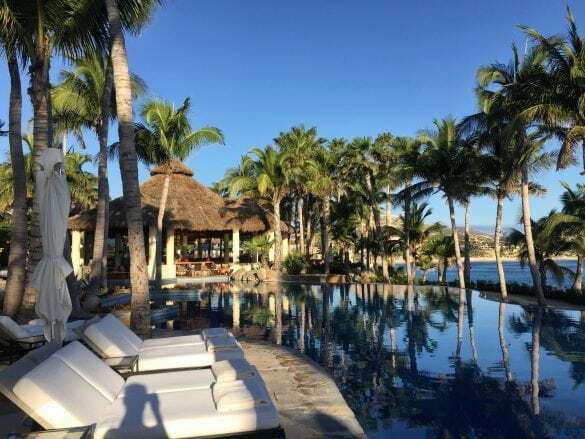 The One&Only Palmilla is located about 20 minutes from the Los Cabos International Airport (SJD). 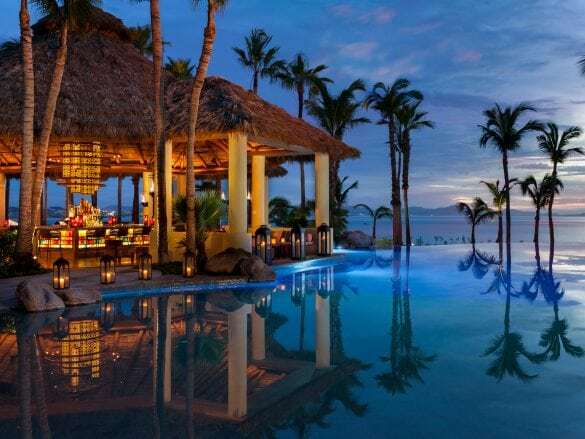 Once you arrive, you can relax in your luxury SUV and enjoy the beautiful Baja surroundings with private transportation services to the resort. 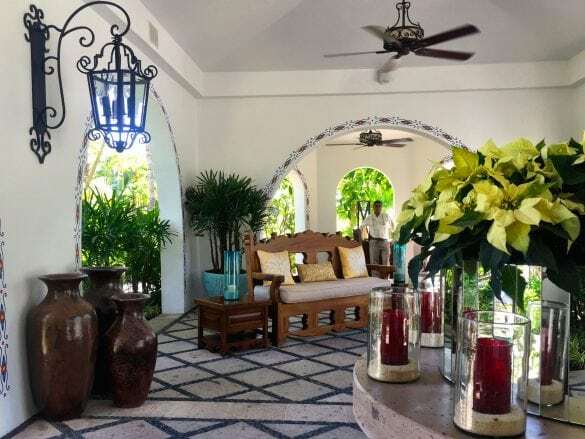 For a large family or group of friends, check out Villa Cortez – a four-bedroom sanctuary that comes complete with a chef, 24/7 butler, private pool, home theater, gym, and much much more!